Who Stole Quackers the 12-Foot, Sunglasses-Wearing Duck? United Rehabilitation Services (URS) in Dayton, Ohio was getting ready for its ninth annual Rubber Duck Regatta, to be held on September 15th, when a dastardly incident took place. Quackers, the duck mascot for URS’s Rubber Duck Regatta, was stolen over the weekend from the Butler Auto Bath, a local carwash. 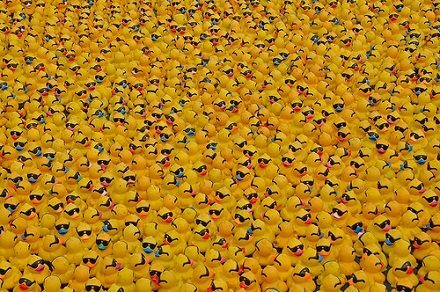 One wonders what fiendish mind could have snuck away with the 12-foot bright yellow duck known for inconspicuously sporting some pretty cool sunglasses.